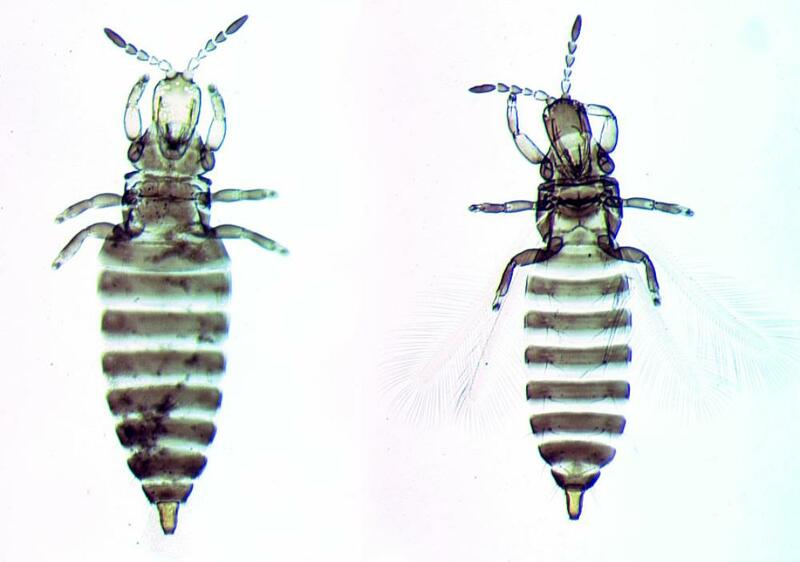 Both sexes wingless, female rarely winged. Body, legs and antennae brown, tube mainly yellow but apex with transverse grey band and base light brown; pedicel of antennal segment III yellow. Head slightly longer than wide with convex cheeks, projecting slightly in front of eyes; compound eyes reduced to about 12 ommatidia that are irregular in size; postocular setae pointed. 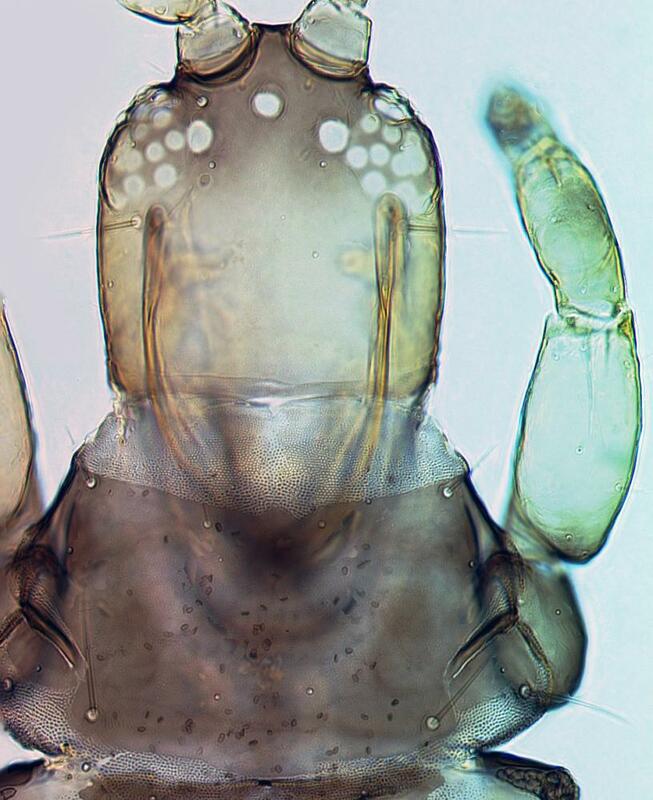 maxillary stylets band-like, wide apart and V-shaped within head; maxillary palps with terminal sensorium long and stout. Antennae 6-segmented (segments VI, VII and VIII fused without suture); segment III small with no sensorium, IV with two sensoria. Pronotum with five pairs of short major setae, only epimerals long and pointed; epimeral sutures complete; prosternal basantra present, mesopresternum eroded. Fore tarsus without tooth. Metanotum transverse, without sculpture, median setae long and acute. Pelta irregular medially, extending almost full width of tergite II anterior margin; tergite IX setae S1 shorter than setae S2, both pointed; tube shorter than head. Males varying in size; large males with long fore tarsal tooth; tergite IX setae S1 and S2 similar in size. There are nine species listed in the genus Priesneriella, three from North America, four from Europe, and one each from New Zealand and West Africa. 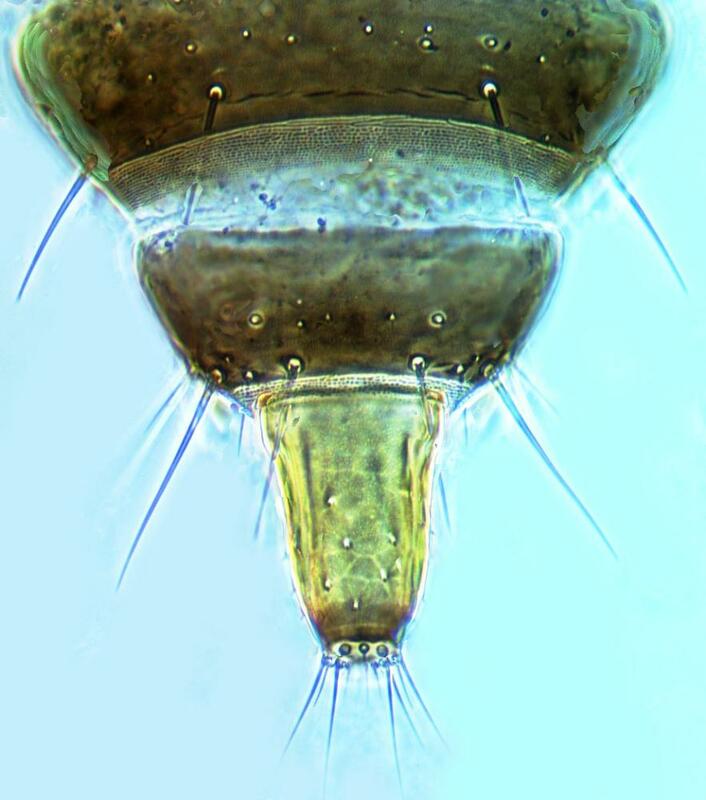 P. thomasi Hood from Texas has two sensoria on the third antennal segment, whereas P. seminole from Florida has only one. 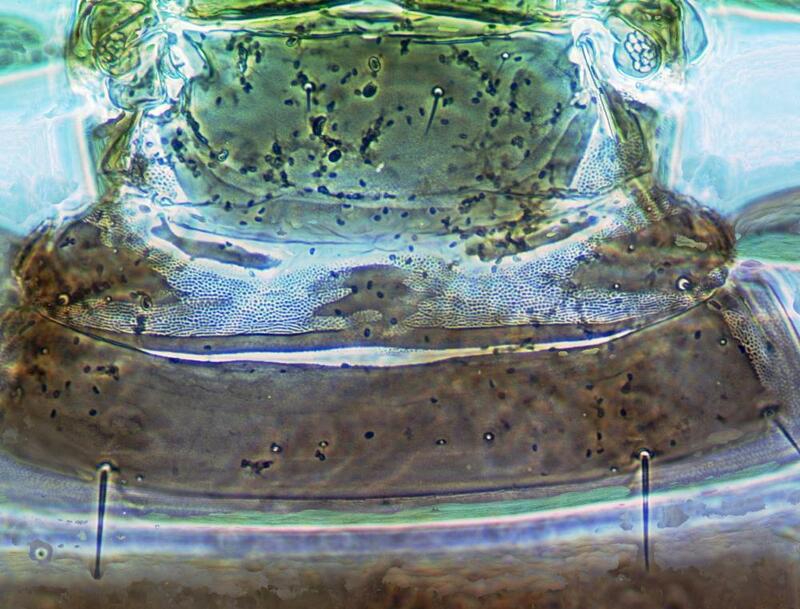 P. citricauda has recently been discovered in the north of Western Australia, and is probably native to that area despite previously being known only from one locality in California (Mound, 2007). Apparently breeding in leaf litter, but also taken from dead branches. Spores of unidentified fungi in leaf litter and on dead Salix.